09-25-1970: in "The Dropout", Don Drysdale, ex-Los Angeles Dodgers pitcher, guest stars as himself. In the segment, Greg, the oldest Brady boy, is obsessed with becoming a big league pitcher and when Don Drysdale encourages him, he's ready to give up everything else including school. 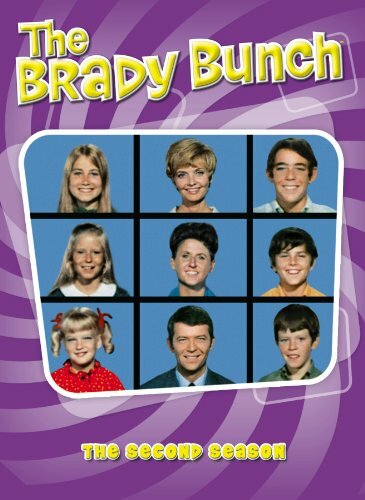 The Bradys become concerned when his grades start to drop and the household suffers because of his overconfidence. 10-02-1970: in "The Babysitters", Greg and Marcia are left in charge of their younger brothers and sisters when Mike and Carol go out for the evening. Mike and Carol gets tickets to a hit play on short notice and Alice has plans for the evening. Greg and Marcia insist on sitting with the younger Bradys, and the adults in the family begin an evening of worry. 10-09-1970: in "The Slumber Caper", E.G. Marshall guest stars as Mr. Randolph, the principal of Marcia's school, who causes her slumber party to be canceled. Marcia is looking forward to her first slumber party when the principal calls the Bradys to inform them that she has drawn an unflattering picture of her teacher. The party is canceled. 10-16-1970: in "The Un-Underground Movie", Greg involves the whole family in a movie-making project for school. Greg is making a movie about the pilgrims and school and involves the whole family. But the way the kids argue about their roles makes Greg want to give it up. 10-23-1970: in "Going, Going...Steady", Marcia is infatuated with a boy who is more interested in bugs than girls. The family helps Marcia get Harvey Klinger interested in her, but regrets it when they decide to go steady. 10-30-1970: in "Call Me Irresponsible", Greg gets a part-time job at his father's architectural firm so he can buy a car. Greg plans to have a car in two years and starts collecting gas money for rides in advance from his brothers and sisters. However, he loses some important designs the first day on the job and is fired. 11-06-1970: in "The Treasure of Sierra Avenue", Bobby finds $1,100 while playing football and his decision to share it with his brothers only splits the family. Carol's girls want to be included in the division of the find. When the boys refuse to share it, the girls give them the silent treatment. 11-13-1970: in "A Fistful of Reasons", Peter gets a black eye when he tries to defend his little sister. Cindy's schoolmate, Buddy, teases her because of her lisp and Peter is called a coward for refusing to fight him. Peter doesn't know how to fight. 11-20-1970: in "The Not-So-Ugly Duckling", Jan has a crush on Clark Tyson, the best looking boy in her class, but he is attentive to Marcia. Jan thinks it is her freckles that cause Clark to like her older sister better. She decides to invent a boyfriend to save face. 12-04-1970: in "The Tattle-Tale", Cindy causes problems for herself and the rest of the family. The Brady children are angry with Cindy for carrying tales to their parents, and Alice has a spat with her boyfriend because of something Cindy said. 12-11-1970: in "What Goes Up...", Bobby develops acrophobia. Peter gets the other guys to let his brother join his tree house club, then Bobby falls and sprains his ankle and is afraid to climb again. 12-18-1970: in "Confessions, Confessions", Peter breaks a vase and all the other Brady youngsters take the blame. Peter is sure his weekend camping trip will be canceled when he breaks his mother's favorite vase. Greg and the others decide to cover for him, but too many confessions spoil the plan. 01-01-1971: in "The Impractical Joker", One of Jan's practical jokes boomerangs. She becomes a victim of her own joke when she takes Greg's pet mouse and loses it. 01-08-1971: in "Where There's Smoke", Greg's sisters catch him smoking and Marcia tells their parents. Greg admits to his folks that he was smoking and says he won't do it again. But the following day, a pack of cigarettes falls out of his pocket. 01-15-1971: in "Will the Real Jan Brady Please Stand Up? ", Jan buys herself a brunette wig so she'll be noticed. Jan believes that she is lost in the middle as the second of three blonde daughters. The first time she wears the wig, her brothers laugh at her. 01-22-1971: in "The Drummer Boy", Los Angeles Ram lineman "Deacon" Jones guest stars as himself as he shows up at practice when Peter is razzed by his football team. Bobby's interest in drumming drives the family out of the house. Peter is kidded by the team because he's in the choir until Los Angeles Rams lineman Deacon Jones shows up at practice. 01-29-1971: in "Coming Out Party", Cindy develops tonsillitis the weekend Mike is planning to take the family on his boss' boat. The family's big outing is threatened when the doctor says the tonsils must come out if the swelling doesn't go down. The Brady children nurse Cindy on a liquid diet to save the day. 02-05-1971: in "Our Son, the Man", Greg demands that he be treated as a man now that he is in high school. Greg insists that he needs privacy, including his own bedroom. Mike turns over his den to Greg to become a "mod pad." 02-12-1971: in "The Liberation of Marcia Brady", Marcia speaks out for women's lib on TV and is challenged by her brothers to prove she's as good as them. Kidded about her ability she joins a scout troop and the boys retaliate by having Peter join Marcia's Sunflower Girls. 02-19-1971: in "Lights Out", The Bradys encourage Peter to take up magic to help Cindy overcome her fear of the dark. After seeing a magician perform a disappearing act, Cindy insists that she can't sleep unless the lights are left on. Mike and Carol hope working with Peter in his magic act will help her overcome her fear. 02-26-1971: in "The Winner", Bobby becomes a frantic competitor when he discovers he is the only Brady without a trophy. When Cindy comes home the winner of a jacks competition, Bobby desperately enters yo-yo, ice cream eating and magazine subscription contests to prove he too is a winner. 03-05-1971: in "Double Parked", The Bradys fight city hall to save a park and Mike Brady ends up in the opposition's camp. The youngsters get their mother to organize a protest against plans to have a courthouse built on the park site near their home. Meanwhile, Mike's firm gets the building job and he is designated the architect. 03-12-1971: in "Alice's September Song", Alice's old boyfriend, Mark Millard, comes to town to court the Bradys' housekeeper. The romance appears serious when Alice devotes all her free time to Mark, much to the chagrin of Sam, the butcher. 03-26-1971: in "Tell It Like It Is", Carol writes a story about the family for a women's magazine. Tomorrow's Woman magazine wants a story about the merged family and the Bradys celebrate her success prematurely -- before the article is completed.